During the recent The Unforgettable Tour in Toronto, it was confirmed that the Bollywood star couple Abhishek Bachchan and Aishwarya Rai Bachchan stayed at the Federer Suite in Hilton Toronto from July 16 to July 19. Tennis star Roger Federer had arrived in Toronto for the Rogers Cup and upon his checkin to the Hilton, was denied his favourite suite since it was already allocated to the Bachchans and hence Roger Federer had to spend a night in another suite in the hotel. 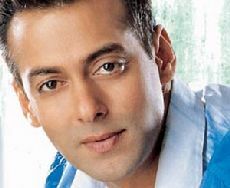 At a recent bash for Katrina Kaif �s birthday, Bollywood stars Salman Khan and Shahrukh Khan got into a little rift. Now we need to determine if this was planned or not? After eight bombs exploded in quick succession in the city of Bangalore yesterday, today the city of Ahmedabad awoke up in early morning confronted with bomb blasts around the city. At least four bombs exploded in the western Indian city of Ahmedabad killing many people and injuring a lot more. The bomb blast were in crowded old city dominated by its Muslim community. Two blast happended near Maninagar, constituency of Chief Minister Narendra Modi.